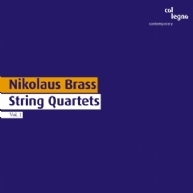 This third CD of works by Nikolaus Brass is the result of our increasingly intensive collaboration with a composer we feel has evaded the “market” for far too long. We are delighted that he no longer insists on being so reticent here. New music worth hearing! A brilliant musical and theatrical performance from the world-renowned vocal ensemble, the fantastic Neue Vocalsolisten Stuttgart: Drama! Hans Thomalla’s opera Fremd adapts one of hte great myths of Worldliterature: Medea; still challenging, still compelling. Somewhere between Alex- ander Rodchenko, Jackson Pollock and Charles Ives: Marino Formenti’s piano studies based on an instal- lation by Florian Pumhösl as a listening experience!